On Thursday 19th May 2016 Father Adam attended the Investiture of the new Mayor of the Borough of Redcar and Cleveland at the Council Chamber in Redcar. This year’s Mayor is Councillor Mr Barry Hunt, a resident of Skinningrove, a Borough Councillor for Skinningrove, Carlin How and Brotton, and a former Town Mayor for Loftus. Upon his election, Cllr Mr Hunt invited the Rector to become his civic chaplain for his mayoral year and Father Adam was delighted to accept his kind invitation. 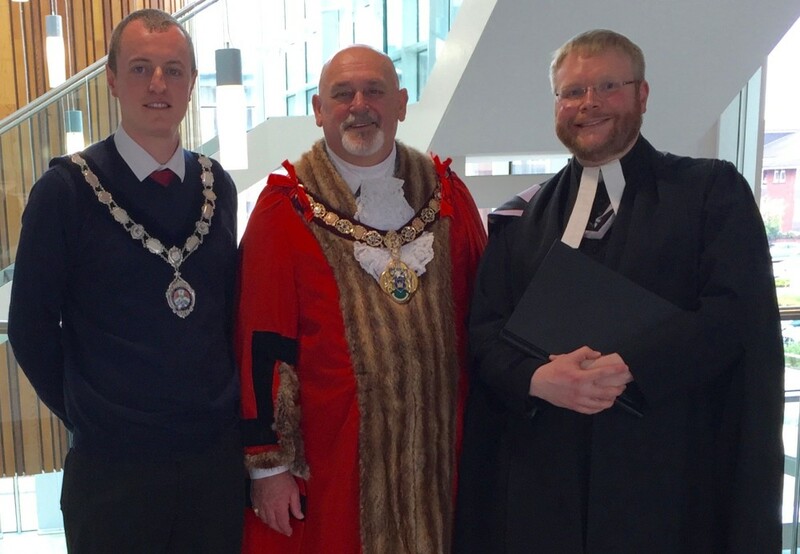 At the Investiture, Father Adam supported the new Mayor on Thursday by saying the opening prayers and by asking for God’s blessing upon the Mayor and Councillors of the Borough of Redcar and Cleveland for the civic year ahead.